Motorcycle Freight, Couriers & Motorbike Shipping, all part of our services. Our team at Just MotoBike Transport, provides the best motorcycle transport services operating on the east coast of Australia. Our customers are provided with motorbike transport second to none which in turn has given us an enviable reputation. If you need a motorcycle, motorbike or scooter shipped of any make or model, even custom built bikes and choppers, then let us take to worry out of the move. Our drivers are very experience in shipping motorbikes and are fully aware of the value you place on your prized machine, so a constant eye is kept on your motorcycle during transport to ensure its safe delivery. Motorcycle freight is our business. Why use Just Motobike Transport? People use Just MotoBike Transport by choice, Australia’s leading motorcycle transporting and bike freight company. We strive to give you as much notice as possible at the time of your motorcycle pickup and the time of your motorcycle drop off so that your motorcycle transport is conducted with ease and minimal inconvenience to you. Just MotoBike Transport will do our utmost to keep you happy and to make you a return customer for life, we value you and we want you to value and trust our motorcycle shipping service. At Just MotoBike Transport we honestly believe that we are the most professional motorcycle transport company in Australia and would love the opportunity to show you why. Our staff are well known to go that extra mile and deliver to areas that are out of the way, unlike other companies that are more inflexible. Interstate Motorcycle transport and deliveries of your motorbike from door to door in most cases. Call Just MotoBike Transport on 0488 466 022 now for your Motorcycle Transport Quote. 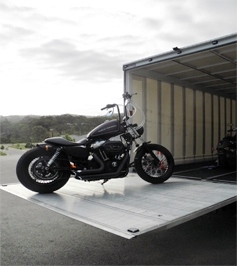 Just MotoBike Transport – Motorcycle Transport organises motorbike freight services that are safe, reliable and secure motorbike shipping to almost anywhere in East Australia. 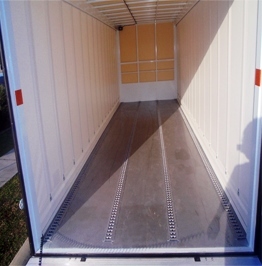 Motorcycles are always transported in a fully enclosed vehicle to ensure the safest motorcycle transportation. When you need a bike carrier, contact us. Yes, we can take parcels/boxes and helmets with your bike for a fee.